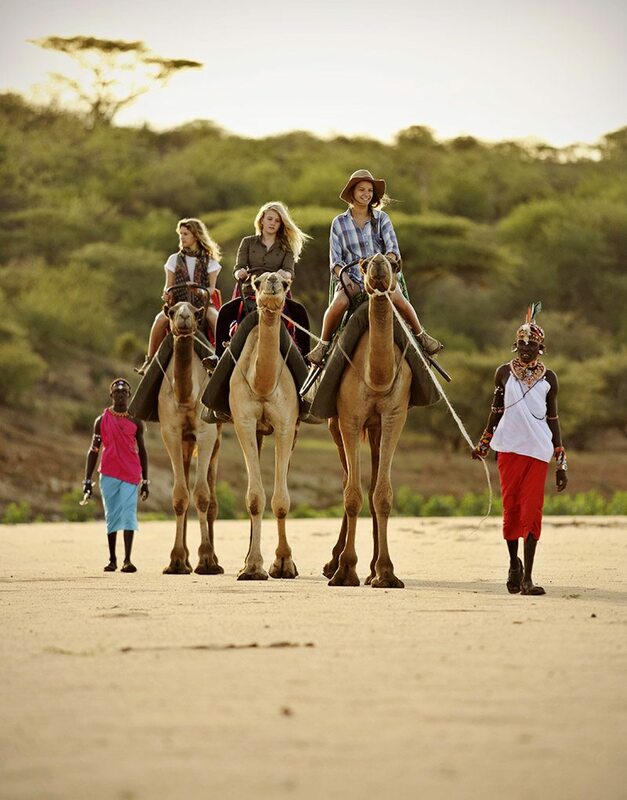 At Kenya’s Saruni lodges, families can take a break from unfettered luxury and enjoy a different kind of safari experience: joining the Warriors Academy and learning the ways of a Maasai or Samburu tribe, with a real Maasai or Samburu warrior – or ‘moran’ – as a guide. I hadn’t finished my sentence when a cool hand fell reassuringly upon my forehead, and I felt droplets of liquid alighting on my lips. It was bitter. Wait, was that … aloe? I opened my eyes to find my progeny crouched over me, carefully squeezing the sap from a thick, green piece of the fleshy plant. I spat and spluttered, and my partner failed to stifle a laugh, shifting their deck chair beneath the umbrella. Lying beside the higher of two infinity pools at Saruni Samburu, I might’ve preferred something like, say, a cocktail to quench my thirst. I would’ve settled for a glass of Chardonnay. After all, what are a few days at a luxury Kenya safari lodge for if not kicking back and enjoying the finer things in life? 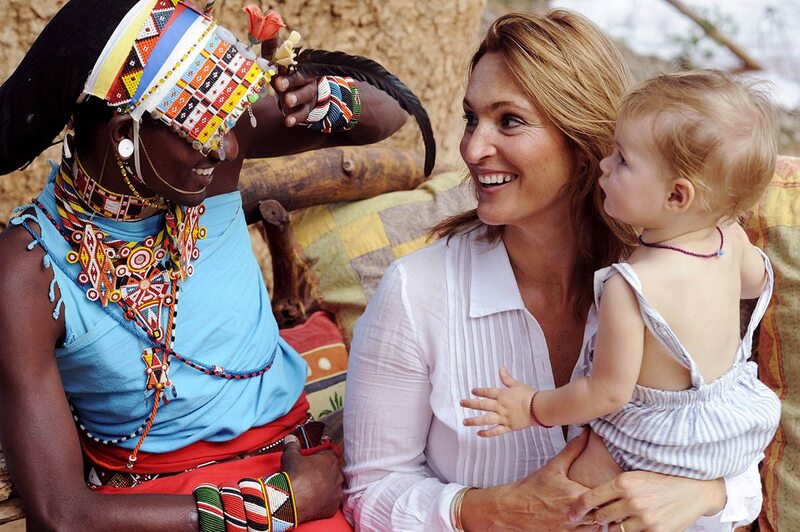 Endless semi-desert vistas, crystal-clear pools, delicious drinks and snacks … and a precocious, burgeoning young Samburu warrior for a child. I suppose I had no one to blame but myself. I’d been the one who’d suggested we try the Warriors Academy – something a little unusual for our latest safari adventure, something to get our little one off Instagram and Facebook, away from bad music and worse TV, out of the digital world and into the real one. I’d grown up on a farm, I reasoned, and learned how to feed pigs and milk cows. Now my daughter was milking aloe onto my face, mimicking just one of the survival techniques taught to her in the morning by Loloju, the moran – or warrior – assigned to educate us in the ways of the Samburu. 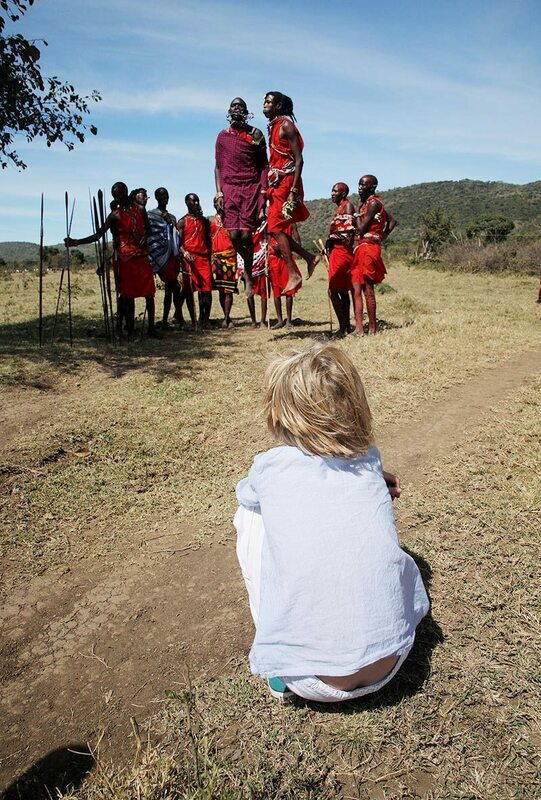 ‘That should keep you going,’ whispered my little Samburu warrior. Then, with a wicked grin: ‘Now I’m off to catch us something for lunch.’ What dormant instincts had we unleashed in our offspring? 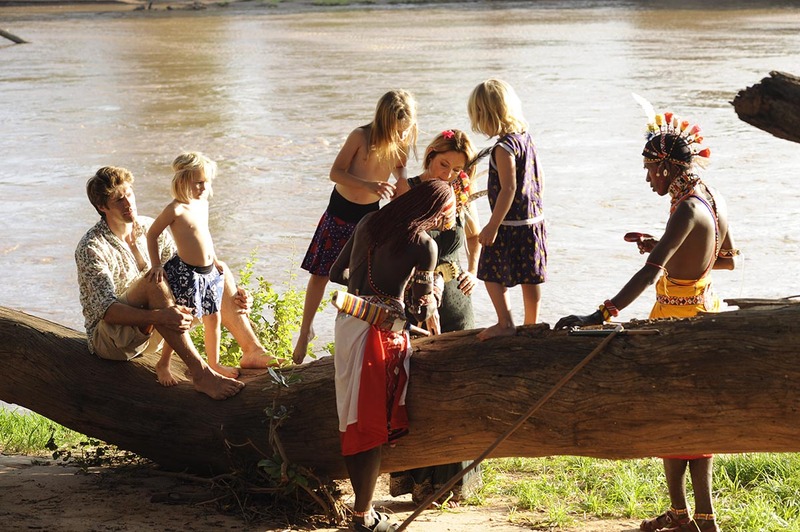 The Warriors Academy, available at the Saruni Samburu and Saruni Mara lodges, is an interactive wildlife safari that enables kids – and parents, if they can keep up – to learn the practices of the Samburu moran. 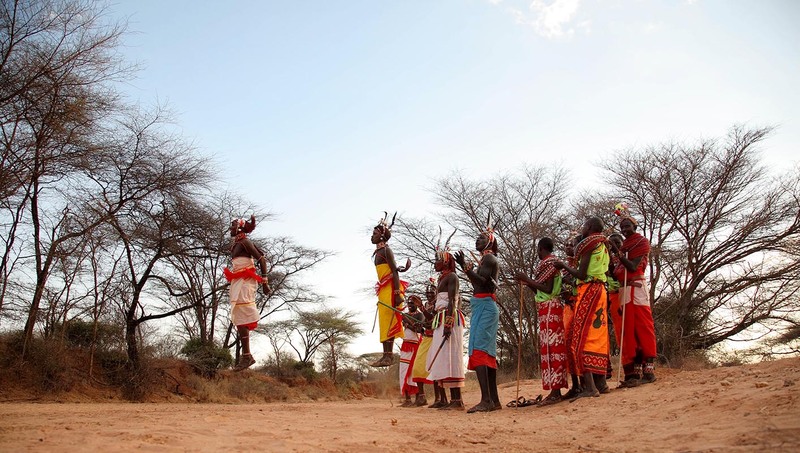 Like the Maasai, the Samburu tribe is one of nomadic pastoralists. 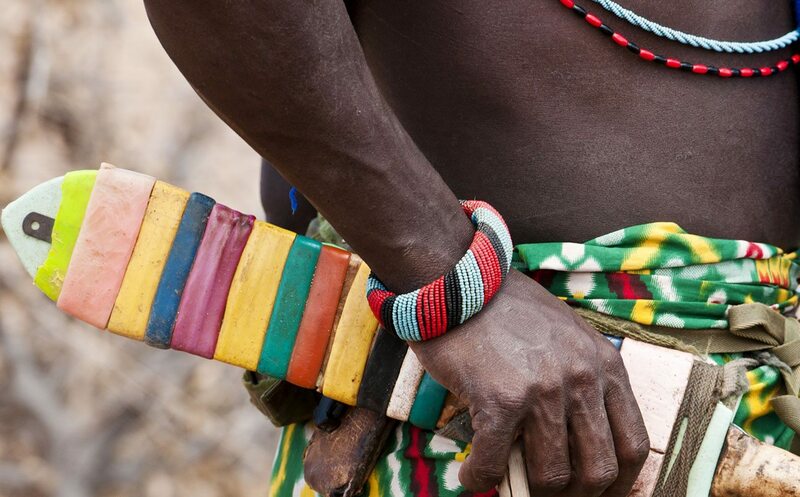 Remarkably, they’ve managed to retain many of their traditional cultural ways of life, defying the trappings of the modern world in favour of preserving ancient customs. 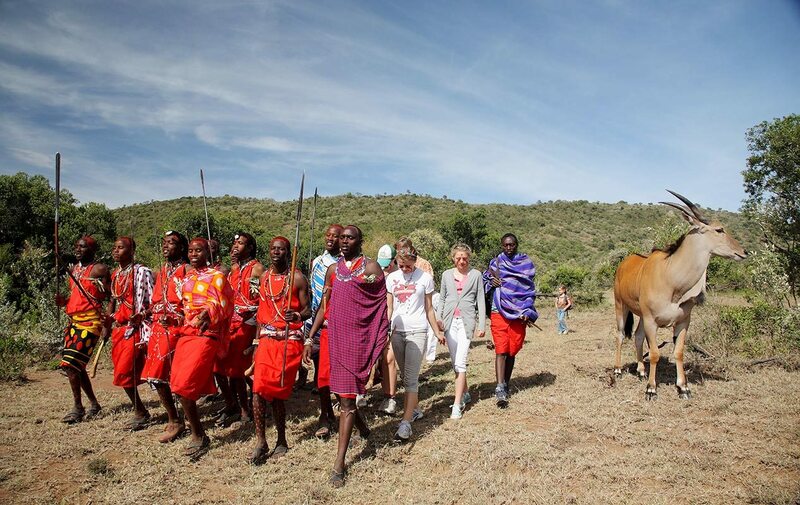 While not all Kenyan lodges run formal academies, many, like Elephant Watch Camp and Sasaab, offer other opportunities to learn about the Samburu and Maasai peoples, through walking safaris and cultural visits, or simply by being around them. 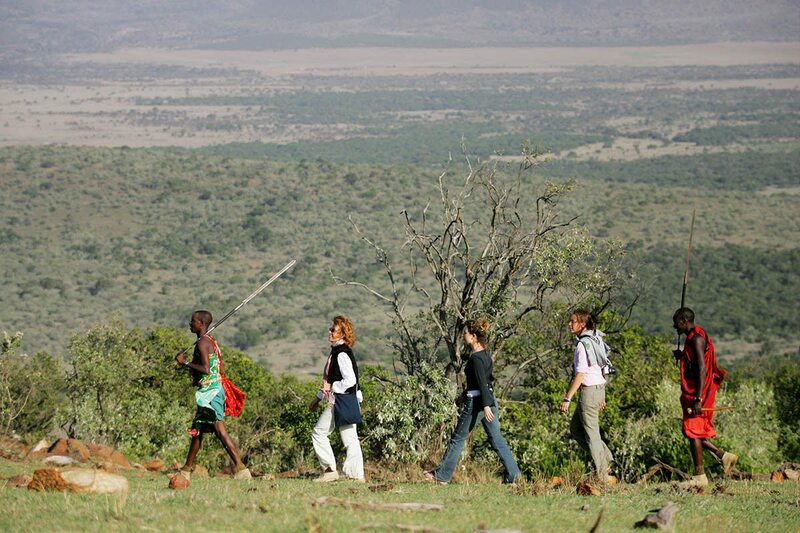 The Saruni Warriors Academy experience can be tailored to run over anything from a day to a week. Being short on time, we’d picked just the one day. In the space of one morning, our child had transformed from sulking over the lack of technology to skulking after a mongoose in the undergrowth. Loloju had taught her how to identify edible and medicinal plants, a task she took to with surprising gusto and acuity, digging in the soil on knees that hadn’t seen dirt in months to find bulbous, life-giving roots while we adults dug up clods of dry soil. We’d watched in amazement as our coy little princess hurled spears and fired arrows at targets, squealing in delight as they met their mark. ‘Is Call of Duty off the Christmas list, then?’ murmured my partner into my ear before receiving a swift elbow to the ribs. 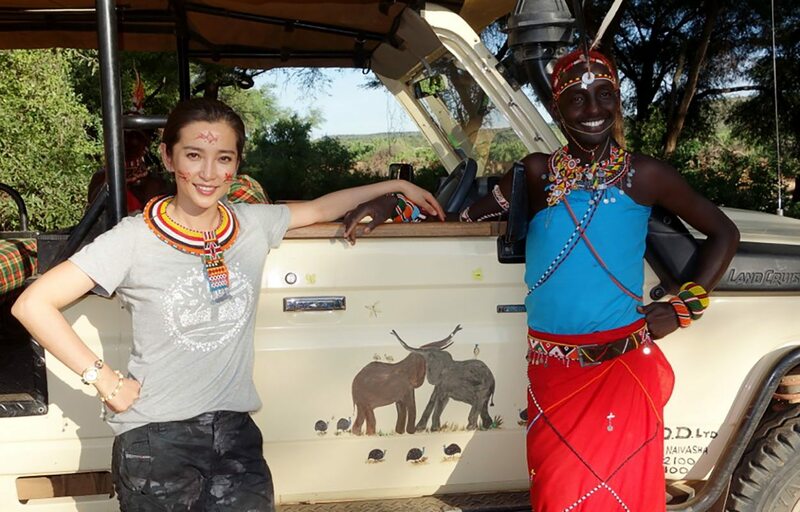 Mercifully, she managed to avoid killing any of the fauna at the lodge, and later that afternoon we followed animal tracks through the arid wilderness to a watering hole, where Loloju demonstrated how to remain unseen and downwind of animals. Hiding in the undergrowth watching for game was very different from sitting in a game vehicle, but our little one’s eyes lit up as we spotted a small group of elephant approaching the water followed by a pair of zebra and their own kin. Watching the fawn splash about in the shallows, muddy water under the watchful eye of its elders, I thought about the knowledge and habits we impart to our children – and how we so easily get swept up in the same arbitrary distractions on which we so often accuse them of wasting their time. ‘Lotuko,’ our daughter said sagely in the Samburu tongue, gesturing at the zebra to a nod of approval from Loloju. I didn’t pick up any Sampur that day, nor did I master foraging or spear throwing, but I did learn a thing or two about my child. Feel like you’re on top of the world at Saruni Samburu, where six luxury villas perch atop a rocky outcrop overlooking 8,000ha of pristine wilderness. With private game drives, indulgent massages, infinity pools and star gazing, this luxury Kenya safari lodge has it all.